Well here we are again! It seems like all I am doing on this save is getting acquainted with a new team. This time it is different, however. I find myself in the top tier of South African football with the mandate to stay clear of relegation. My objective is to build the club into a top four team within three years, and hopefully win a trophy in this time. There are two cup competitions available to win, plus the league, with top four going on to either the Champions League or Confederation Cup. The top two get into the Champions League while the third and fourth teams qualify for the Confederations Cup. As you can see the available prize money is very top heavy, and breaking into the top four will be difficult. Jomo Cosmos has been successful in the past, before falling from favour and being relegated twice. They are recently back in the top flight and have done well to stay up this season. They won the ABSA Premiership in 1988, some 28 years ago. Casting the rule over the squad shows me how much work needs to be done to achieve my aims. 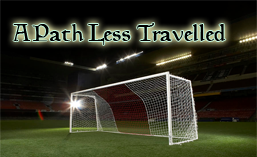 Season one objective is to find a good Defensive Midfielder and at lease one good Centeral Defender. For the type of game I wish to play, we need to improve the mental and technical side of the squad. I am reasonably happy with the Keepers and will not be making many changes for now. I have worse problems to deal with. Slow, weak, and technically deficient. The as I discovered in Korea, if you can fix the defense the rest falls into place. Not too bad, apart from decisions and creativity. I need to look at the play-making options out there who can fill the gaps in my midfield. It would appear we are blessed with some cart-horses up front. Another area I need to fix. Casting my eyes over the squad, I notice that we have six players who are soon to be out of contract with us. Of the six, only Irvin Dlamini is borderline useful, and in the end I have decided that at 32 he is not a suitable future investment for the team. This post has been truncated a bit due to travelling home after New Years, and being stuck in a hotel which has no cell phone reception. I am saving my rationed wi-fi to stream the Liverpool game tomorrow morning! As a special consolation I leave you with the now famous Junaid Carnell, South African Manager! People would kill for a do like his!